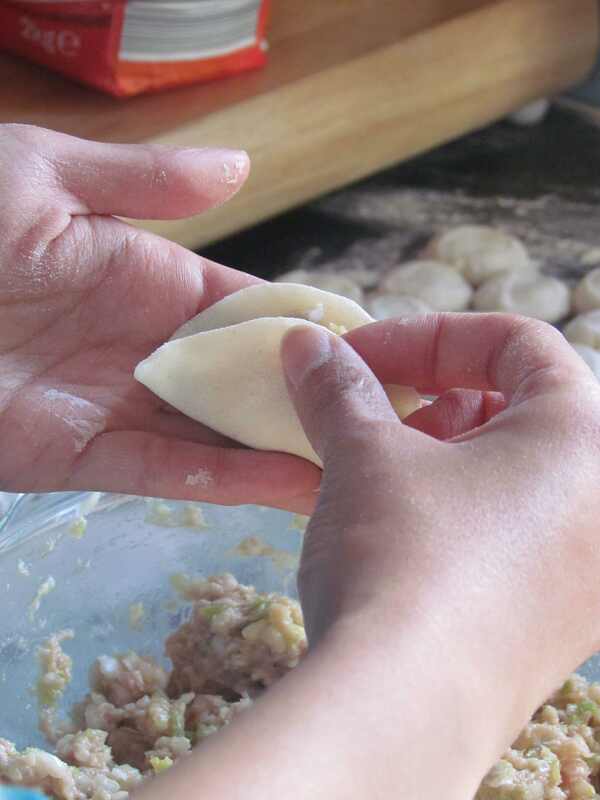 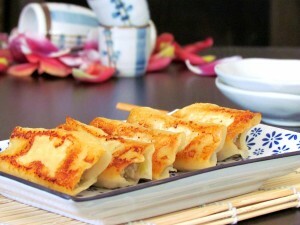 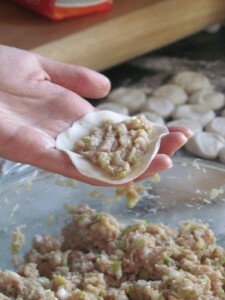 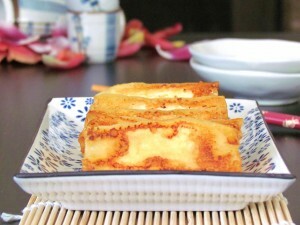 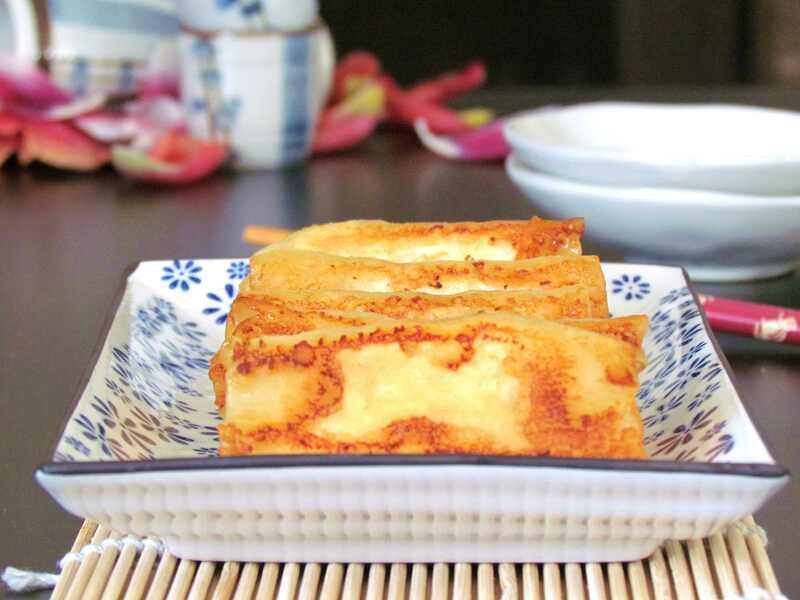 There are three main ways to cook dumplings, boiled, steamed and pan fried. 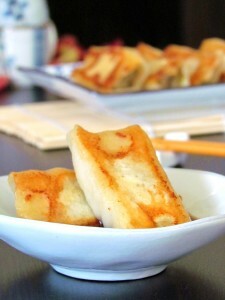 Pan fried dumplings have another name: Guo Tie (Potstickers). 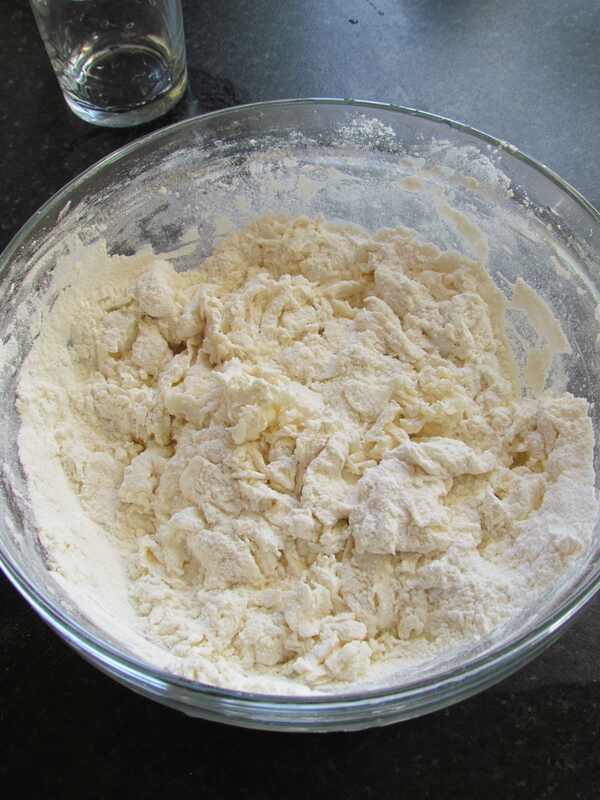 Place the flour in a large bowl, slowly pour 1.5 cups of warm water in and mix until it forms a soft dough, knead the dough in the bowl until it becomes smooth and soft on the surface. 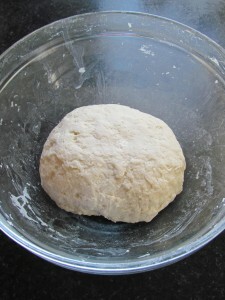 Cover the bowl with a damp cloth and let the dough sit for about 20-30 minutes. 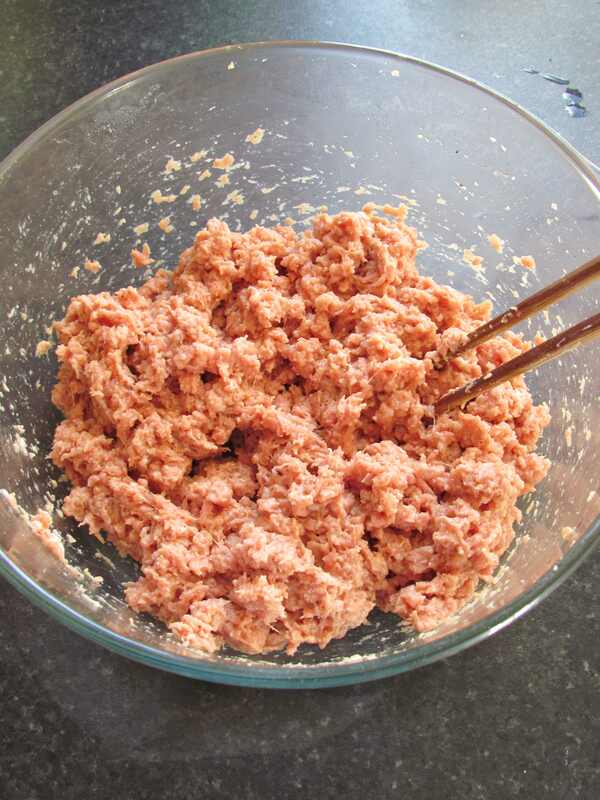 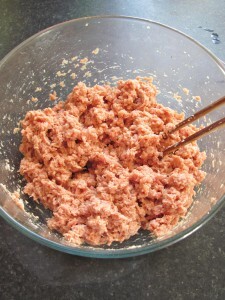 Place the minced pork in a large bowl, add cooking wine, five spice, ground Sichuan pepper, light soy sauce, sesame oil and 2 tbsp of cooking oil, stir towards one direction until it becomes a paste. 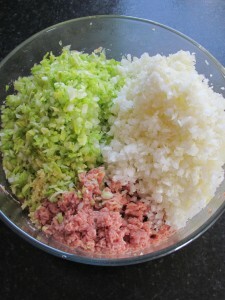 Finely dice the spring onion, leek white and ginger, add to the paste. 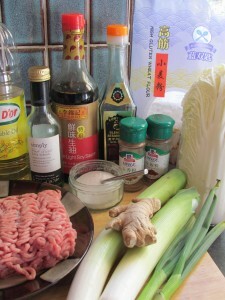 Finely chop the Chinese cabbage, squeeze the excess liquid out, place in the same bowl, mix. Add salt, mix well. Take the dough out, place on a flat smooth surface with a thin layer of flour, knead until it becomes smooth. Divide the dough into three small parts evenly. Keep two in the bowl, cover with damp cloth. 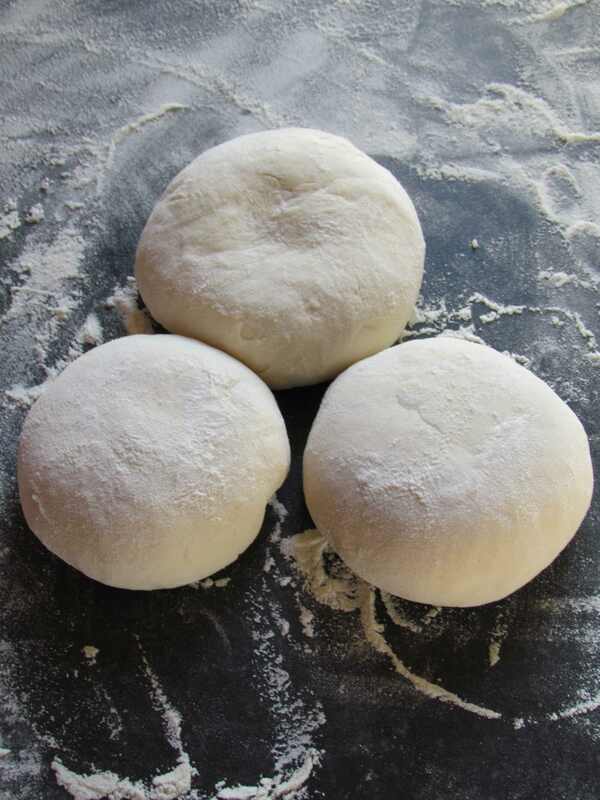 Knead the one that you are going to use into a long stick shape. 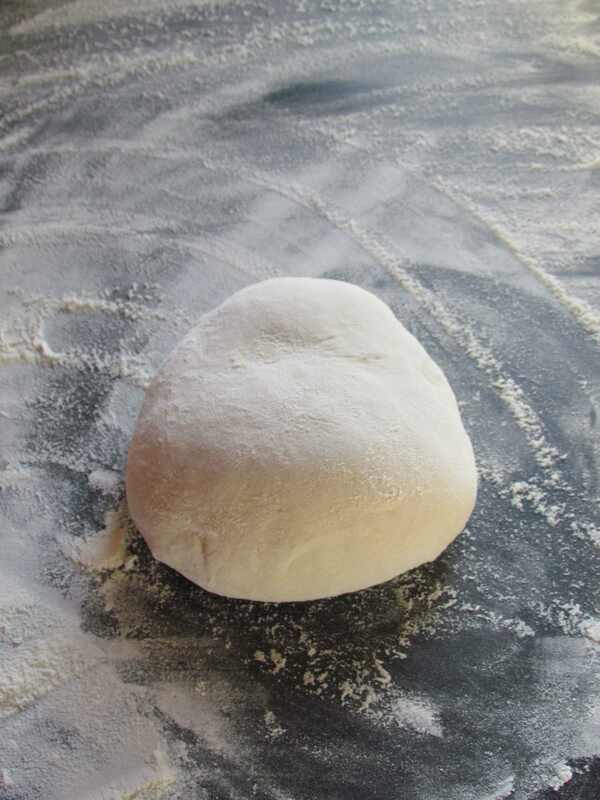 Roll the stick to make it even and smooth. 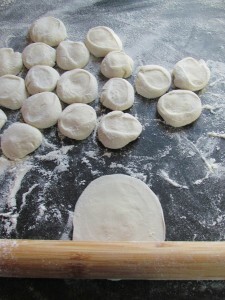 Cut it into 2cm diameter pieces. 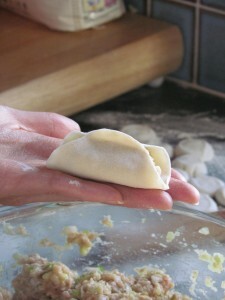 Squash them with your hand first, then use the rolling pin to roll it in to a flat disc about palm size. 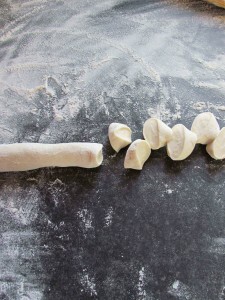 Make sure to roll from the edge to the center and always keep the center bit thicker than the edges. 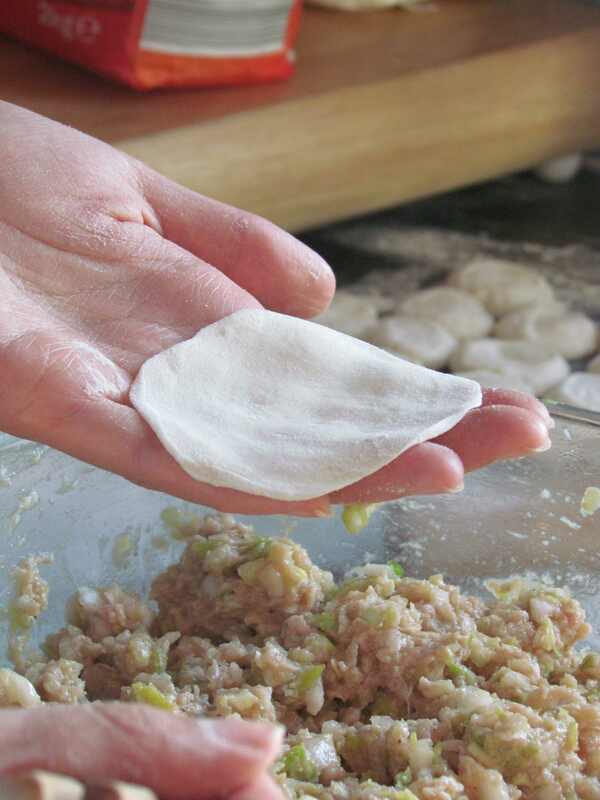 Place one skin in your hand, put a tbsp of filling in the center, flatten a little bit so the filling can lay on the skin evenly. Fold the skin in half and pinch the top part of the edge together. 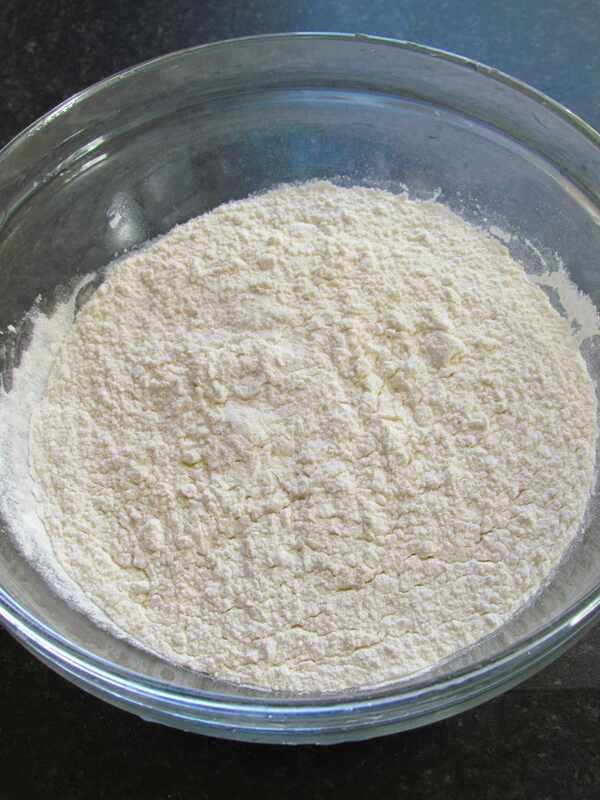 Place a frying pan with 4 tbsp of cooking oil over low heat, turn the pan slowly to make sure the bottom of the pan is covered by cooking oil evenly. 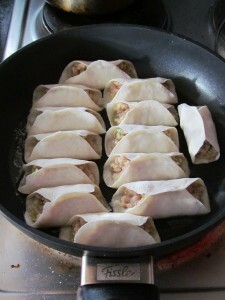 Place the pot-stickers on the pan one next to another, until the pan is full. Turn to high heat, cover the pan with lid. 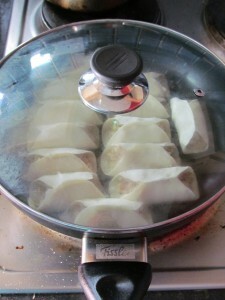 Keep frying for 3 minutes without removing the lid. Gently add 1/3 cup of cold water around the edge, turn the heat down to mid-low, cover with lid and cook for another 5 minutes. Take out. Repeat until all the pot-stickers are cooked. 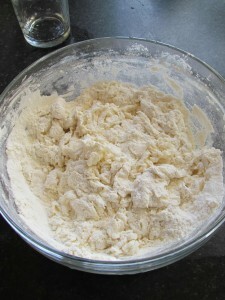 Clean the pan in between batches. 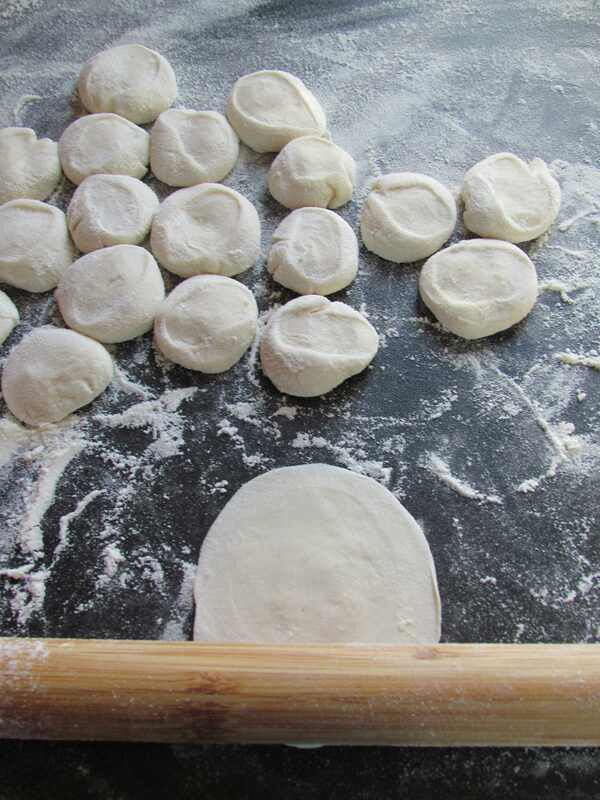 Thank you for the support Julie!